What's under the bandages of patient 307? First-ever 3 3/4-inch scale Bandaged Patient Action Figure! Limited edition size of 1400, each is individually numbered. 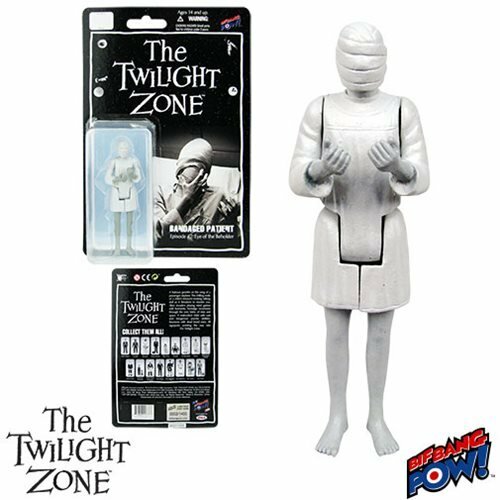 From Bif Bang Pow!, this authentically detailed figure of the Bandaged Patient measures approximately 3 3/4-inches tall and is crafted from plastic. She features five points of articulation, as well as the retro design of action figures from the 70s. Order yours today! Ages 14 and up.